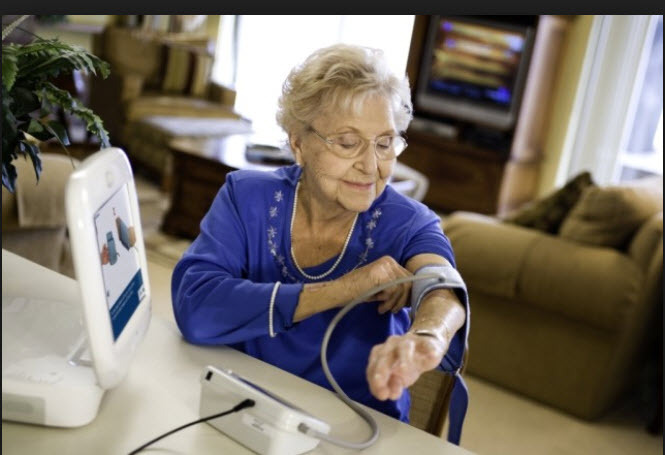 Blood pressure self monitoring provides a more accurate and consistent reading compared to one taken by a health care professional. Do-it-yourself monitoring can significantly lower the numbers, according to a new study in the medical journal Lancet. Congratulations, you have cut your risk of getting a heart attack and stroke. Patients testing their own pressure scored lower numbers in systolic pressure (the first number in a blood pressure score). And the reduction was enough to cut the risk of stroke by 20 percent and the risk of heart attack by 10 percent. Self monitoring, combined with regular reporting to a doctor, who can adjust medication accordingly, seemed to explain the benefit. Another reason for the better test results is that patients are not stressed by “white coat syndrome” where your pressure ticks upward as you sit anxiously in a doctor’s office.